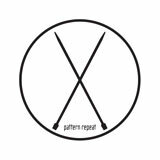 Pattern Repeat is a new music-project and label by Kenneth Christiansen, Echocord & Echocord Colour Label boss, and his partner Dennis Bøg aka Resoe, running the Baum Label. The Pattern Repeat label will only contains productions from Kenneth & Dennis, and the music is focused on the "modern" Berlin Techno sound today, Dubstep and Dub-Techno. Pattern Repeat will also release records on other labels, so far the first one is out on Echocord Colour. Kenneth and Dennis met eachother 8 years ago when they worked together in at that time famous Copenhagen-Record-Shop "Loud", which closed 5 years ago. At that time Dennis was more into Broken Beat, Hip-Hop and Deep House. Kenneth was already running the label Echocord, and soon Dennis started his label Baum. The label Baum is also like Echocord, releasing Dub-Techno, and Dennis started to release his own material as Resoe, and builded up his studio the years after. 1 year ago we decided to try to do a new project together, working together in the studio, and now Pattern Repeat is born.